Ruth was the winner of the Camexpo Outstanding Achievement Award for the Industry in 2014 and is the author of ‘A Hands On Guide to Myofascial Release’ published by Human Kinetics the same year. 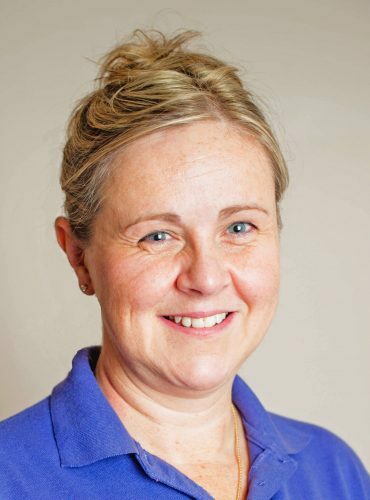 Ruth specialises in myofascial release and has been in clinical practice for 18 years. She has also delivered numerous foundation and advanced myofascial release workshops both in the UK and internationally under the banner of MFR UK. Her own myofascial training includes the work of John F. Barnes, Thomas Myers and Erik Dalton. Ruth has completed the myofascial release training programme with John F. Barnes including two student internships in his Arizona treatment centre. She has also repeated many of the Barnes myofascial seminars to enhance her skill and has also assisted on some of their foundation seminars. Ruth studied functional rehabilitation approaches in her University Accredited Sports Therapy Diploma as well as through Functional Movement Systems training (FMS) with Gray Cook. Through her training and extensive experience, Ruth has developed an integration of valuable fascial and soft tissue approaches and functional fascial rehabilitation and self-care modalities. She has also expanded her knowledge and understanding of anatomy, biomechanics and Biotensegrity by attending many human dissection workshops with Julian baker and Gil Hedley. Ruth is currently undertaking a BSc (Hons) in Healthcare with the OU. Ruth is also trained in neuromuscular approaches (trigger point therapy, muscle energy techniques and positional release) as well as spinal manipulation, medical acupuncture, sports massage and sports taping and integrates these approaches into her treatments when necessary. Ruth is a consultant for the The British Fascia Symposium and delivered the introductory lecture on fascia at the first symposium in 2014. She also presented a poster on a myofascial clinical trial she undertook at the 4th International Fascia Research Congress in Washington in 2015 and is a founding member of the Fascia Research Society. Ruth has delivered workshops and lectures at many trade shows including Camexpo, The Holistic Health Show, TherapyExpo and COPA. She has also been a guest lecturer at the Federation of Holistic Therapists and has been the keynote lecturer for the Massage Training Institute and the Scottish Massage Therapy Organisation annual training conferences. She was also invited to lecture and at the International MyoPain conference in India in 2017. Over the past 15 years she has written numerous articles for the Massage World magazine, International Therapist (FHT), Co-Kinetic, the magazine for the Scottish Massage Therapy Organisation and for Choice Health and Wellbeing.